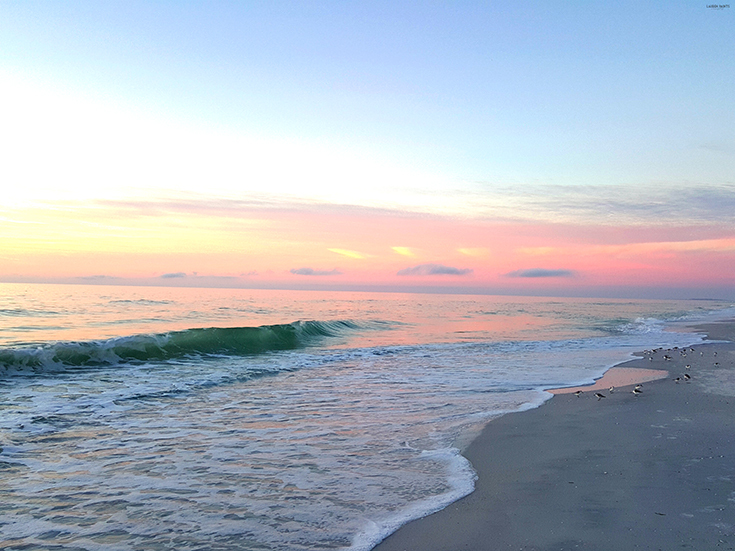 Living in the Sunshine State has its perks, there's no doubt about that. One perk is the sun and all the gorgeous weather, but the downside of all this Vitamin D is it makes my skin super dry if I don't keep it hydrated. That's where Curél® Hydra Therapy Wet Skin Moisturizer comes into the picture. 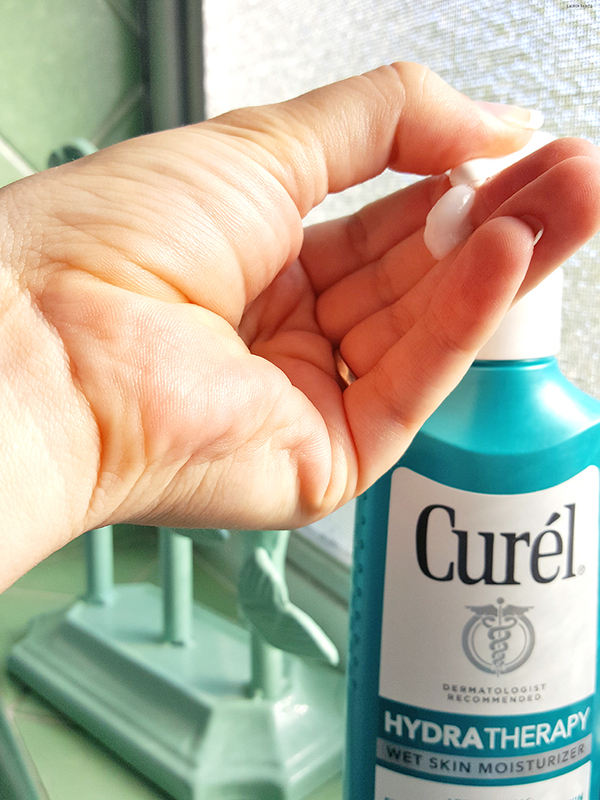 Whether you live by the sun or spend time in the cold, Curél® is the answer to your dry skin blues. Want proof? Lucky for you, Curél® and a bunch of bloggers (including myself) teamed up to apply Curél® Hydra Therapy daily and officially reveal to you how you can keep your skin hydrated... all year long! 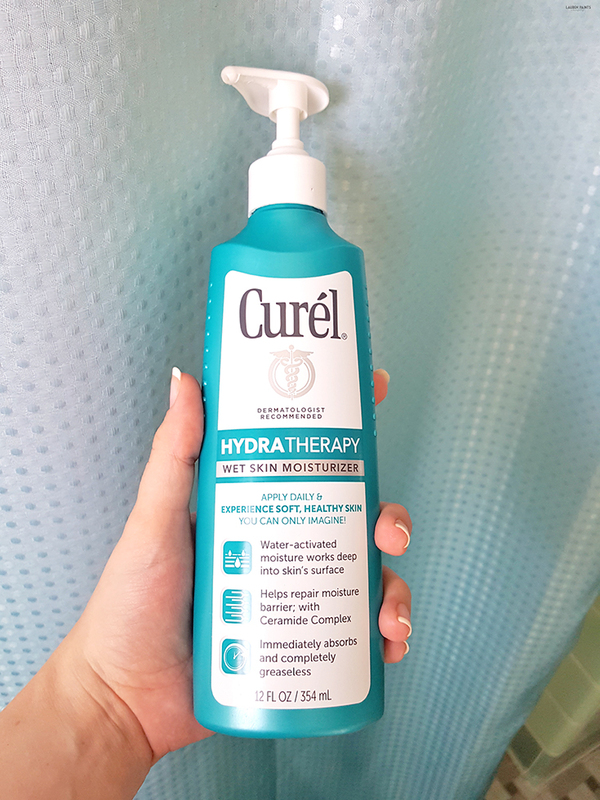 Believe it or not, applying Curél® Hydra Therapy after my shower, once a day, really does make my skin softer and no joke: I noticed a difference after just one use. It’s a little different than my usual moisturizer. I applied this right after I got out of the bath, before toweling off. Why after the shower though? After showering, your pores are open, providing an easy pathway for moisture to absorb into your skin! There isn’t even a need to rub the moisturizer in, just towel off and go about your day. Curél® Hydra Therapy Wet Skin Moisturizer with Advanced Ceramide Complex penetrates deeply into the skin's surface at this point bringing moisture to the source of dryness. It absorbs immediately and with daily use will end your dry skin! I’ve found that the dry, rough patches I had before now look much smoother, and my skin overall appears more hydrated and well nourished. I’m super happy with it! Not only will Curél® Hydra Therapy hydrate your skin, this moisturizer is immediately absorbed - leaving no greasiness! Plus it's fragrance free and dermatologist recommended, so you don't have to worry about it irritating your skin, even if you’re like me and you have super sensitive skin! Speaking of the beginning of something much more, I think we need to talk about something important! I'm giving away $100 to ONE lucky commenter! So tell me, what's your favorite part of the "End of Dry Skin" graphic...? 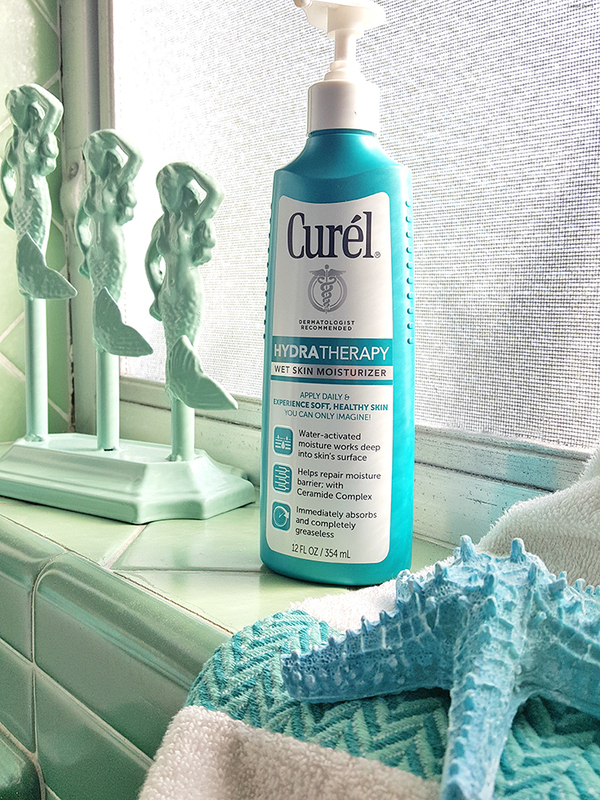 Will you start adding Curél® Hydra Therapy Wet Skin Moisturizer into your shower routine? I'd love to hear what you think in the comments below!